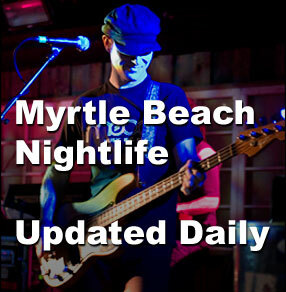 Myrtle Beach is an energetic city known for more than just being the golf capital of the world. The entire family will enjoy over 50+ miles of white sandy beaches, restaurants and family-friendly dining, amusement and water parks, historic sites, outlet malls, specialty boutiques, flea markets, specialty stores, and exciting festivals. Myrtle Beach hotels offer a lot of perks and extras with great deals to make your Myrtle Beach vacation fun and inexpensive. Book your trip today! The 2010 XCON WORLD and Convention will be held at the Springmaid Beach Resort, a 27 acre oceanfront Hotel & Convention Center in Myrtle Beach, South Carolina. After a day of errands, I stopped in to grab a quick bite to eat at the newest location of River City Cafe. It sets itself apart from other burger conglomerates on the grand strand by its unique decor of underground posh meets graffiti, all wrapped up in a feeling of comfort.